Purchase Qantas Travel Insurance with a flight. Earn Qantas Points^ on selected policies with Qantas Travel Insurance. Policies are underwritten by QBE Travel Insurance. Domestic flight cancellation and baggage protection. Residents of Australia, for all ages. Residents of Australia, minimum age 21. Travel within New Zealand and Pacific Islands. Single domestic trips in Australia. Trip cancellation and baggage protection. Residents of Australia for all ages. Medical and dental while overseas. Available to residents of Australia for all ages. Unlimited trips in a 12 month period, with a 60 day maximum duration of cover for any one trip. Residents of Australia, maximum age 69. Qantas Frequent Flyer members will earn 1,000 sign on Qantas Points and up to 5,000 points through the Qantas Wellbeing App*. Business professionals for domestic and international travel up to 90 days, including limited private travel. Overseas medical and additional expenses. Australian residents for all ages. 24/7 emergency travel assistance by QBE Assist. Earn Qantas Business Rewards points for your business. Qantas Insurance rewards you with Qantas Points when you take out an eligible Health, Life or Travel policy. You'll also have access to the Qantas Wellbeing App where you can earn Qantas Points simply for tracking everyday activities like walking, cycling, or going to the gym#. Already have an existing policy? Refer to your insurance policy confirmation email for instructions on how to change or cancel your policy, or contact QBE Insurance. Claims can be lodged 24 hours a day, 7 days a week. They can be lodged in Australia, overseas or when you return home. Updated information about travel insurance coverage for existing policy holders. Travel Insurance policies are underwritten by QBE Insurance (Australia) Limited. Qantas is an authorised representative of QBE Insurance (Australia) Limited (AFSL239545). You should always consider the Product Disclosure Statement (PDS) and Policy Wording and your personal circumstances before making any decision about whether to acquire a travel insurance product. Qantas does not and cannot provide any advice, opinion or recommendation about any insurance. Insurance must be purchased prior to departure from Australia and cannot be purchased more than 12 months before travel. ^ Qantas Frequent Flyer members can earn 1 Qantas Point per A$1 spent on the premium paid on eligible Qantas Insurance policies, excluding Australian Cancellation and Baggage. 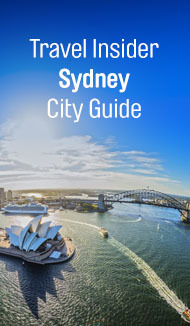 You will be eligible for these points upon departure, and points may take up to 6 weeks from the date of your departure to be credited to your Qantas Frequent Flyer account. You must be a member of the Qantas Frequent Flyer program to earn and redeem points. 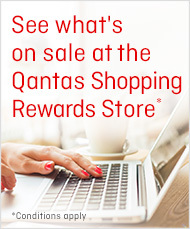 Membership and points are subject to the Qantas Frequent Flyer program terms and conditions. A joining fee usually applies. However, this will be waived if you join when you download the Qantas Wellbeing App. The Qantas Wellbeing App is offered by Qantas and you must be a member of the Qantas Frequent Flyer program and aged 13+ to use the App. * The policyholder that takes out a Qantas Insurance Annual Multi Trip travel insurance policy will earn 1 Qantas Points per A$1 spent on the premium paid, 1,000 sign on Qantas Points and up to 5,000 Qantas Points through the Qantas Wellbeing App. To earn up to 5,000 Qantas Points with the Qantas Wellbeing App, you must participate in the challenges available through the Qantas Wellbeing App. Once 5,000 Qantas Points have been earned through the App, the policyholder will accrue fractional Qantas Points. Disclaimer: # Eligible Qantas Travel Insurance policies exclude Australian Cancellation and Baggage and Annual Multi Trip. Qantas Frequent Flyer members who are currently Qantas Wellbeing App (App) users and hold an Eligible Qantas Travel Insurance policy can earn Qantas Points through the Qantas Wellbeing Rewards 28-Day Trial. New App users will receive an additional 28 days of the Trial (56 days in total). The App is offered by Qantas and you must be a member of the Qantas Frequent Flyer program and 13 years of age or over to use the App. During the Trial, App users will earn Qantas Points without having to purchase an Eligible Qantas Insurance Product. Eligible Qantas Insurance Products are Qantas Health Insurance Policies, Life Protect Policies and Annual Multi-Trip Travel Insurance Policy. Qantas Points earned during this trial will be credited to your Qantas Frequent Flyer account on a fortnightly basis. Once the Trial has ended, Qantas Frequent Flyer members who do not purchase an Eligible Qantas Insurance Product will earn fractional Qantas Points by completing activities through the App. Qantas reserves the right to withdraw this offer at any time. The policyholder of a Qantas Travel Insurance policy excluding Cancellation and Baggage policies will earn 1 Qantas Point per $1 value of the premium paid or redeemed.